The Economist, a venerable English newspaper, can be excused for being confused about why India kicked the WTO bucket on July 31st. But it is a mystery why the Economist expects nations to behave rationally, when it knows full well that individuals don’t. Humans fear losing more than they like winning, similar amounts of money. The anxiety about loss is irrational. There is nothing rational either about buying diamonds, but the world spends $72 billion each year on them. It is even less rational to buy missiles and weapons but the world turnover of these adult toys is more than $350 billion annually. Incidentally, this not very different from the net estimated gains for developing countries from implementing the now torpedoed Trade Facilitation Agreement (TFA); basically aimed at cutting red tape in international trade. Assume instead that irrationality rules. It then becomes easy to see why a seemingly “win win” solution, in a narrow, partial equilibrium sense, like the TFA, becomes less attractive because of the costs and collateral political damage it causes to the cozy, status-quo favouring domestic elites. The Economist is perceptive however, in assessing that the WTO in its “jamboree” form is dead as the dodo. On this it is bang on. The expectation that nearly 200 nations can possibly reach a common “agreement” and more importantly stick to it is so utopian that it boggles the mind. But it is odd that a newspaper, as incisively investigative and intellectually rigorous, as the Economist, should not have picked up on the key, underlying issue of “cultural rifts”, which lies at the core of multilateral failures (trade and climate change). In developing economies, a “sustainable agreement” is one in which the mutuality of interest is explicitly acknowledged; no party has residual reservations and the agreement is aligned with practicality. A mere formal consent, given under pressure, or with the intention of “kicking the can down the road”, is no consent at all. A pile of papers signed to seal such “faux deals”, have even less value. Whilst individuals are prone to such derelictions, agents (read leaders and bureaucrats) are even more likely to adopt the easiest route to avoid immediate stress. Why then do multilateral institutions bother to negotiate such unsustainable “deals”? First, every broking house has a “managerial incentive” to “close” deals. Never mind if they unravel subsequently. Second, cultural cleavages between ancient civilisations and “modern” States create mutual mis-assessments of the degree of consent and the leeway for subsequent rethinking behind formal agreements. Third, modern institutions are prone to use a “template” methodology for assessing conformity and consensus. Whilst templates reduce the time and cost of decision making by enforcing standardized conformity, they miss the contextual signals indicating covert dissent; misgivings or simply lack of “buy in”. The near universal business model today is the one based on neo-liberal economic precepts and political architecture. Prior to 1990, Soviet Russia cocked a snook at this model of development which is embedded in the “Doing Business” publication of the World bank/IFC. Today, it is China which is doing so. Despite growing at more than 8% per annum over the last 33 years; becoming the second largest economy in the world and reducing the level of its poor to 3%, it ranks 96th out of 189 countries in the “ease of doing business”. What explains the mismatch between its achievements and its ranking? The purpose of this statement is not to undervalue the “Doing Business” publication. Instead, the intention is to show that there is more than one way of skinning a cat as so vividly illustrated by China. Large, continental economies, like China or India, have options to innovate development solutions, which may not be available for small countries. If an economy is hugely dependent on external markets or foreign investment, the need to “de-risk” its institutional arrangements, in the conventional sense, will be far greater. Big economies can attract business interest, purely on the basis of their vast market potential, without having to go through the hoops of process change to conform to “best practice” institutional norms. The only caveat is that political stability is a must. But it is hard work to convert informal, business practices, which work at the boutique level, into a generally applicable market principle. The diamond trade in India, worth around $9 billion, is done entirely on trust. No formal agreements are executed between buyers, sellers or couriers but there are no defaults. Yet, no Indian retail investor would consider purchasing a home without signing legal agreements with home suppliers. Access to bank credit is similarly cocooned in masses of paper. Never mind that the Non-Performing Assets (NPA) of Indian public sector Indian banks have nevertheless increased to an alarming level of 10%. Never mind that these paper agreements are virtually unenforceable or enforceable only at significant transaction cost. Small players need the comfort of a legal agreement. Large players know that any agreement is sustainable only if it remains mutually beneficial and the balance of market power does not shift significantly over the course of the agreement. In effect, this reduces a legal agreement to a mere formality, more like a memorandum of understanding or a minute. More accurately, a fudge, to lull the less informed into a false sense of security. The bottom line is, clunky international agreements are out. Smaller pacts between immediate beneficiaries are easier to conclude and provide higher gains all around. Consider how ineffective the G20 (a talk shop of mostly rich countries and a few poor countries-including India, convened to coordinate national actions during the 2008 financial crisis) was in the WTO-TFA affair. The group aims for “individual country action based on a common understanding”. The Indian action of rejecting the TFA, in opposition to the remaining 19 members of the G20, was akin to kicking it in the teeth. The “unnatural exuberance” of the last 30 years is over. Trans-border equity is no longer normative. It has to be negotiated every time, in every context. 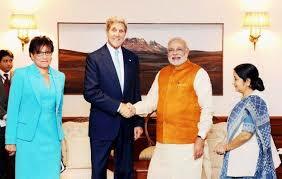 Market power is in; collaboration between high-worth, small groups (BRICS) is in; bilateral deals are in. The world is suddenly less grandly inclusive and more squalidly business like, than ever before. But it is also more real and practical and less hypocritical. PreviousCan India choose its defence challenges? NextA new National Development Council: PM Modi could keep the bird in hand and still net two more from the bush.